Tomorrow patch 8.3 will be going live! To celebrate the new patch launch we are going to give everyone a unique chance show off their skills. 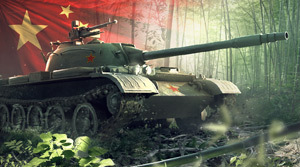 To win, you must prove that you have what it takes to be counted as one of the top 100 tank commanders for each of the new Chinese tanks which will be available with the arrival of Patch 8.3. In order to participate you simply need to battle with your new Chinese tanks starting from patch launch day (Wednesday 16th Jan) all the way up until the 10th of February. We will then take the results from every battle played with Chinese tanks between these dates to form a top 100 list based on highest experienced earned in a single battle. As there are 17 tanks this means there will be 17 top 100 groups. Only the battles from random battles will count. Battles from clan wars and company battles will not count. 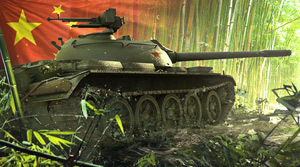 If you already have one of these tanks in the hanger (Type 59 or Type 62) you will be compensated with gold: 7500 for the Type 59 and 4800 for the Type 62. Good luck tank commanders and Roll Out!